Ken Morris’s journey began one cold Pittsburgh morning in 1935. In the middle of the Great Depression, he was going to see the country as a door-to-door salesman. Detroit was to be his first and last stop. Life was hard and few people during this time of crisis knew how their future would evolve. After months of unemployment, Ken found a job at the Briggs Manufacturing Company, the toughest auto company in Detroit. Ken could not have known then he would eventually play a pioneering role in building one of the cleanest, most socially progressive labor unions the world has known-the United Automobile Workers. 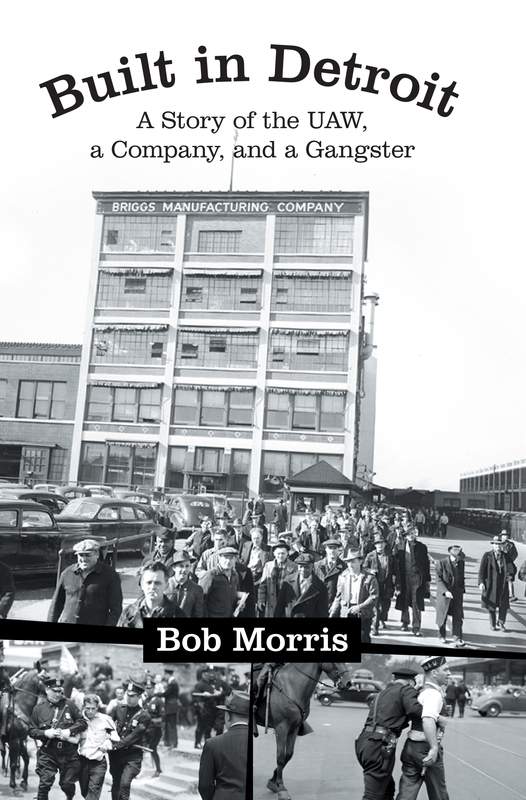 In Built in Detroit, author Bob Morris, Ken’s son, tells not only his father’s story, but also the UAW’s story-the battles with companies, the struggles within the union, and then the vicious attacks on Detroit labor leaders in the late 1940s. This story tells of the efforts to investigate these terrorist attacks on Detroit’s union leaders, including Ken Morris, Walter Reuther and others. This narrative sheds new light on the mystery of who tried to assassinate UAW president Walter Reuther. Rich with personal and historical details, Built in Detroit narrates a story unique to Detroit. It tells the story of a thriving city and the factories that gave the city life. Author Bob Morris deftly portrays many of the top labor leaders of the 1930s and 1940s, as well as the rank and file members who supported these labor leaders. It also provides portraits of early auto industrialists, their companies, their henchmen and the gangsters they hired to destroy the labor movement. In the case of the Briggs Manufacturing Company, it shows how a company that played loose with the law ultimately floundered, its Detroit heritage largely forgotten.